You are going to love this home! This is an amazing, perfectly kept home with everything you could ask for! Set on an idyllic 2+ acre setting teeming with wildlife. It boasts over 3400 square feet of living space, including a perfectly finished walkout lower level. There are a total of 5 bedrooms, two on the lower level, three on the main level including a master suite. The master suite features a luxurious whirlpool tub, vaulted ceilings and skylights. A fireplace is the focal point, perfect for those Michigan winter evenings. The lower level also includes a family room and work-out room. Plenty of living space for everyone! With a custom roof that tends beyond the house, enjoying time outdoors will be easy, rain or shine. The roof also extends to the garage entrance, a lovely feature for Michigan weather. 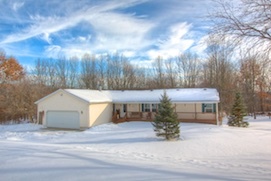 This gorgeous property and home are conveniently located just 30 minutes from Ann Arbor and Lansing! Access to the University of Michigan or Michigan State is a snap! Walk to East Jackson elementary school and a local winery. 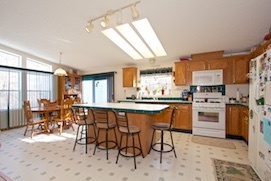 With close proximity you I-94, Chelsea, Grass Lake and Jackson are nearby as well. Don’t let this piece of Ann Arbor area real estate slip away, call for your private showing today!